Instinet is an institutional, agency-only broker that also serves as the independent equity trading arm of its parent, Nomura Group. It executes trades for asset management firms, hedge funds, insurance companies, mutual funds and pension funds. 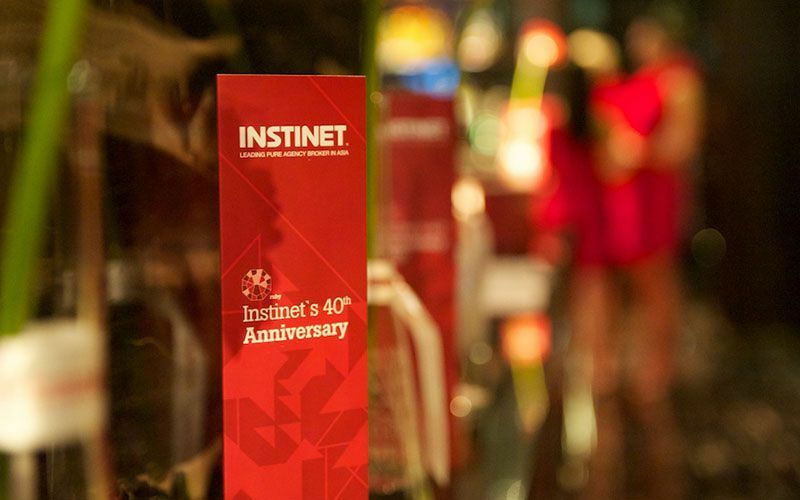 In conjunction with Instinet’s 40th anniversary the company wanted to stage an event to be held during the Hong Kong Rugby Sevens. The ‘Ideas Factory’ otherwise known as The Pink Tiger Media events team listened and collaborated with the client. An event operational program was created and key deliverables were met ahead of time. The Pink Tiger Media events team Created, Inspired & Delivered an awe inspiring event, with Investment Bankers trying to get invitations. Some of the event components included - Digital Invitations - Branded stair cases - Branded Reception area - Event Signage - Branded Wrist Brands - Stage - Branded flashing ice cubes - Branded models - Strobe lighting - DJ’s - Photographer’s.